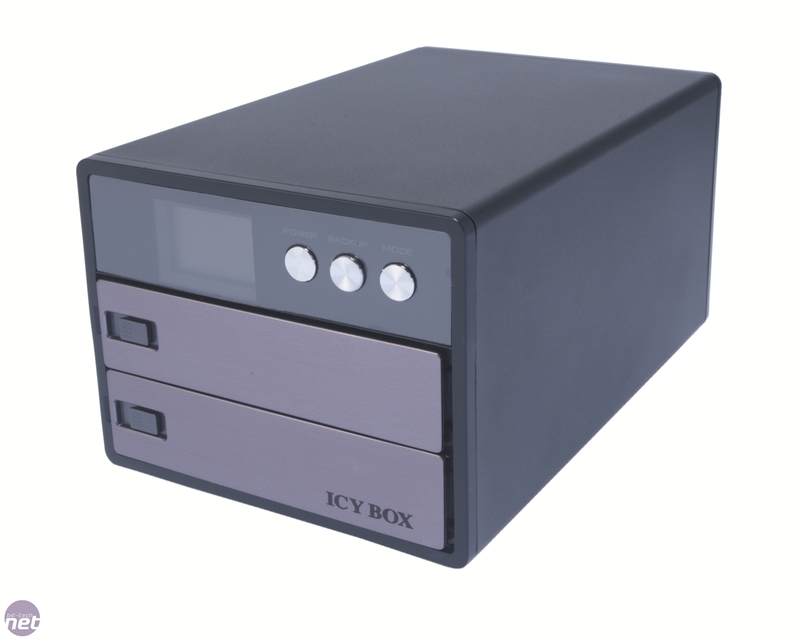 At £124, the Icy Box IB-NAS3221 is one of the cheaper NAS boxes we've seen. 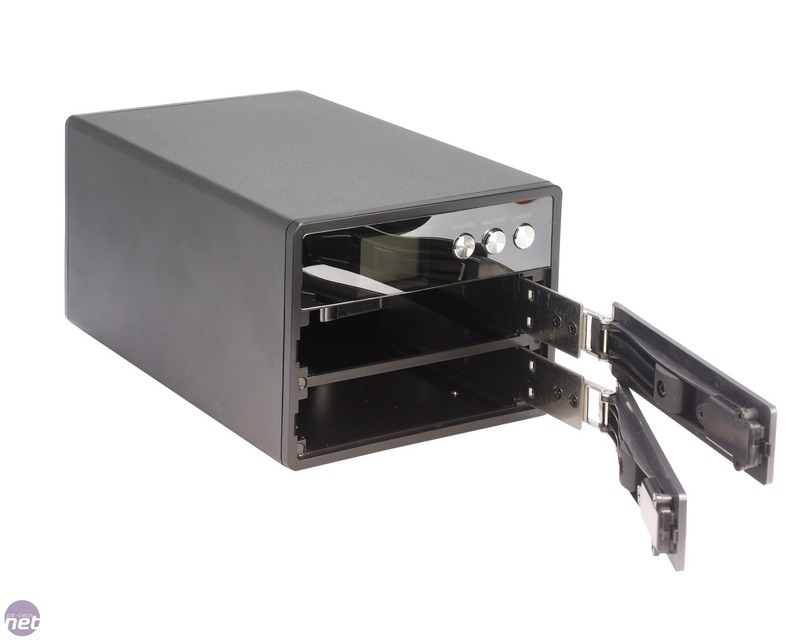 It's also very well made, and features two drawer-like, hot-swappable drive bays, which have a tool-less design. 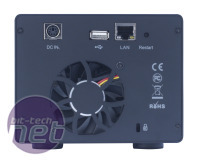 Meanwhile, its attractive front fascia has a small, backlit display that shows the temperature inside the drive bays, as well as the unit’s IP address. On the downside, though, the display isn't particularly clear, and the unit only accepts two 1.5TB hard drives, which is pretty odd when you consider that Icy Box's cheaper IB-NAS5220-B supports a pair of 2TB hard drives. You're required to format your hard disk(s) and delve into the browser-based interface before you can start transferring files. 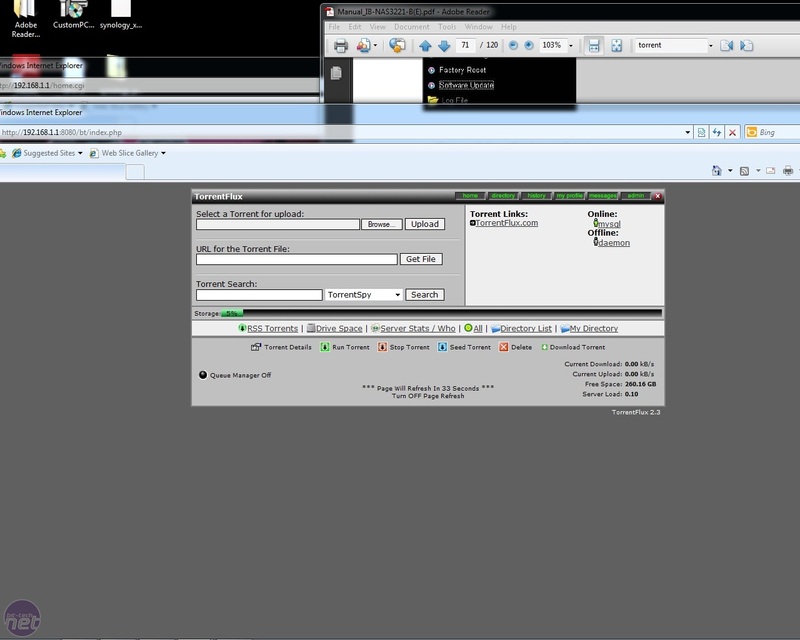 Thankfully, the interface well laid out and easy to navigate, with most setup options requiring little more than a single click, including RAID and FTP, as well as print and iTunes servers. As well as this, the IB-NAS3221 supports the UPnP media server protocol, and we had its iTunes server synced with iTunes in a matter of seconds. 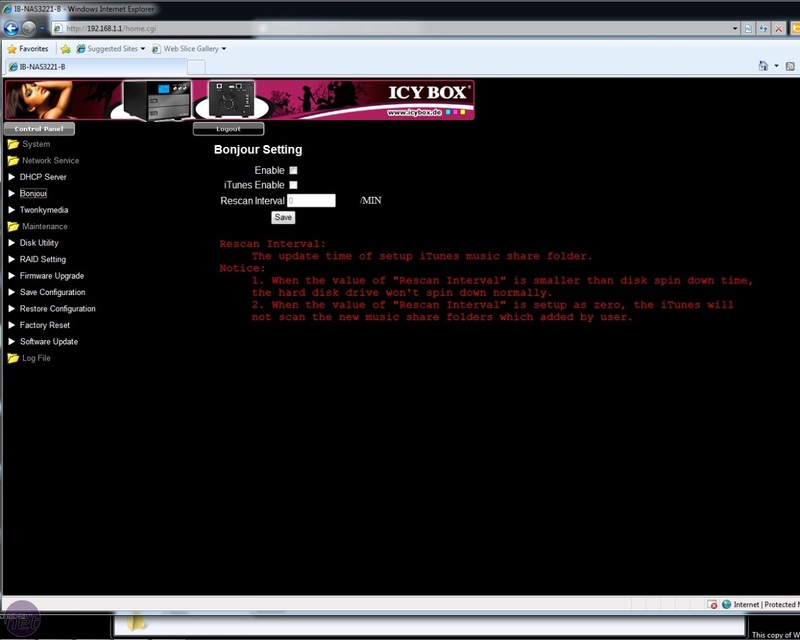 There's also a Bit-Torrent client in the form of Torrentflux, although this is pretty basic and has to be downloaded from Icy Box’s website. There's a one-touch backup button too, which works well, automatically creating a date-stamped shared folder with the copied contents of our USB stick. 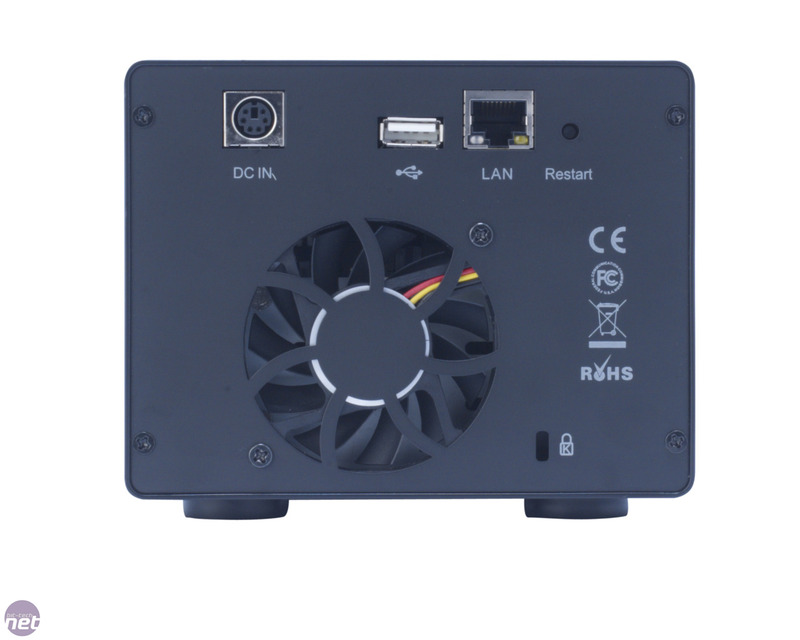 The box's USB 2 port also supports memory card readers, but there are strangely no ports on the front of the case, meaning that you have to reach around the back to locate the single USB 2 port. Sadly, the IB-NAS3221 didn’t prove particularly quick in any of our file transfer tests, only managing a 15.5MB/sec read speed and 12.7MB/sec write speed in the large file test. 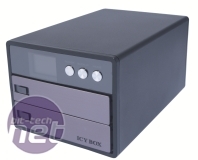 Both results place the IB-NAS3221 well into the lower tier among the NAS boxes we've tested. A similar story was told in the small file test, in which it only managed a 9.9MB/sec read speed and a write speed of 6.4MB/sec. Again, this places it in the lower half of the graphs. It's not particularly quiet, either. A single 60mm temperature-controlled fan cools the hard disks, and while this didn't start spinning until after an hour, it was uncomfortably noisy when it got going. The IB-NAS3221 looks attractive enough and it's relatively easy to set up, which can’t be said for many NAS boxes we've seen. However, it’s very slow and the fan could be quieter. 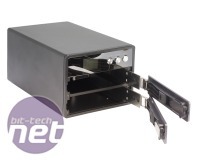 Compared to the QNAP TS-210, which costs just £20 more, the IB-NAS3221 makes a comparatively poor choice. Zyxel focusses on the media streaming market with the NSA310, which sports some interesting features.